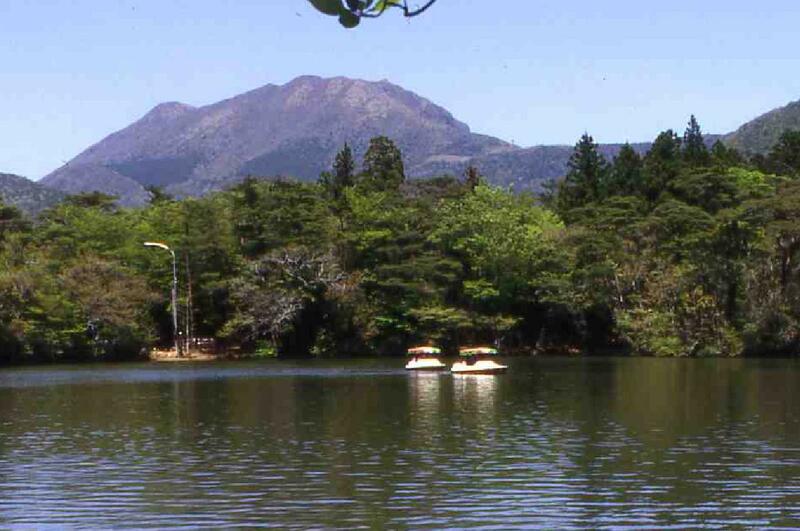 Hanzuiryo is a resort inn situated in the natural surroundings of Unzen National Park, Japan s first national park, located in Nagasaki Prefecture, Kyushu. 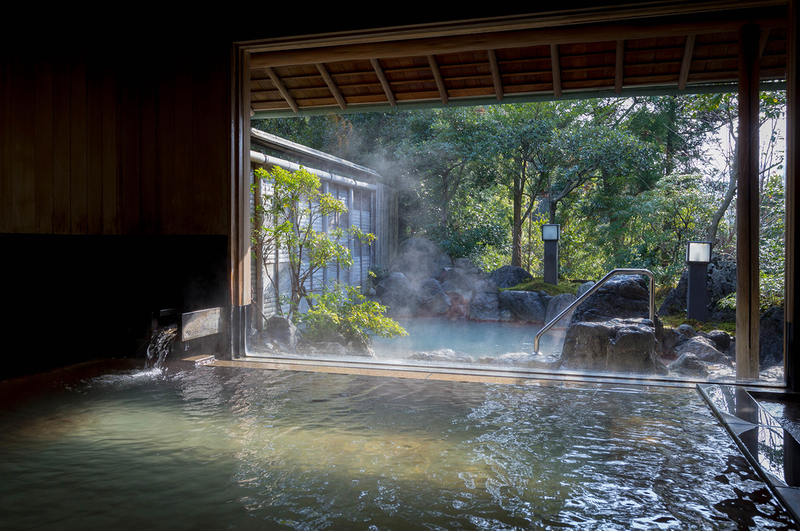 Away from the crowds and bustle of the typical onsen hot spring town, we have built 14 villas on spacious grounds of nearly 20,000 square meters. 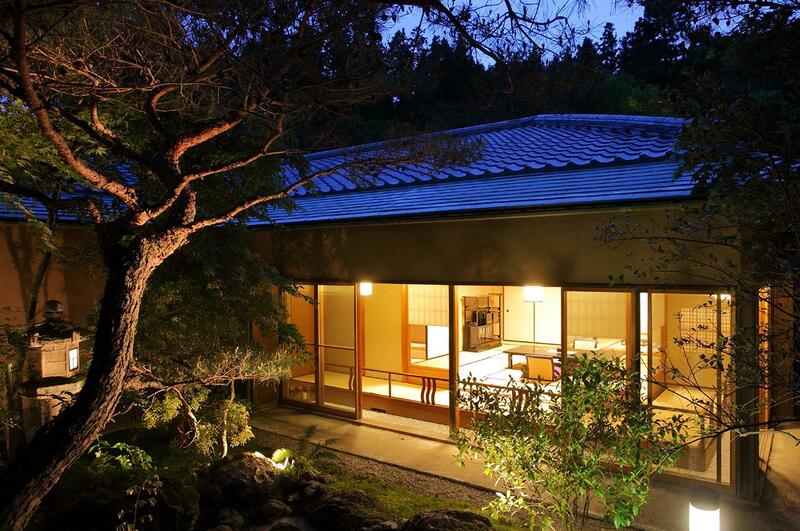 Each villa on this property has a unique design following the simple but elegant sukiya tea house style of architecture, and is set in a beautifully landscaped Japanese garden. 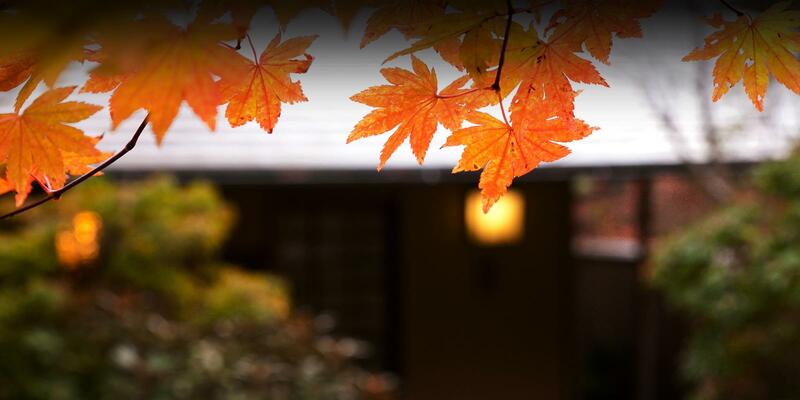 Our inn is a very special place where only the chirping of birds and the natural changes of the seasons mark the passage of time, and where the heart seems to melt back into nature. Where special moments are found. 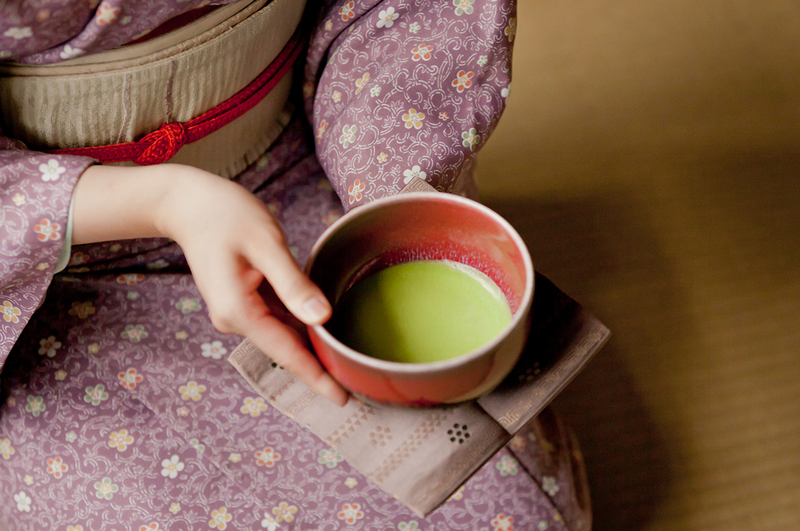 The onsen town of Unzen is located southwest of Mt. 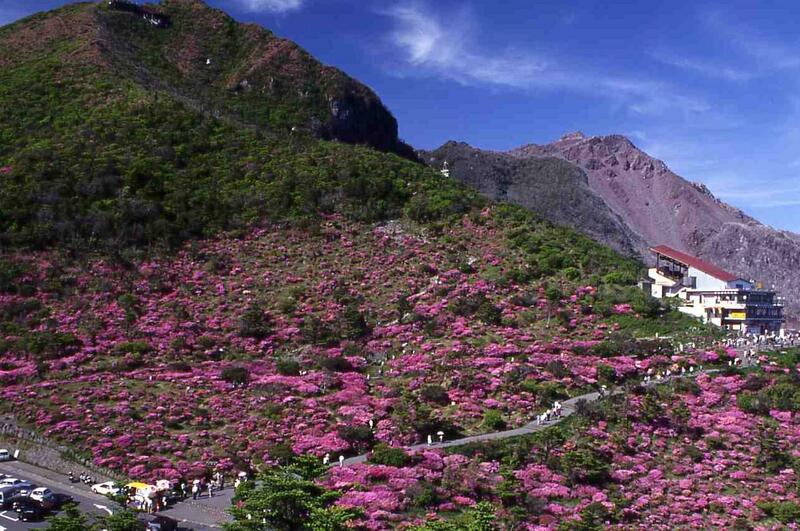 Unzen, along the mountainous ridge of the Shimabara Peninsula. 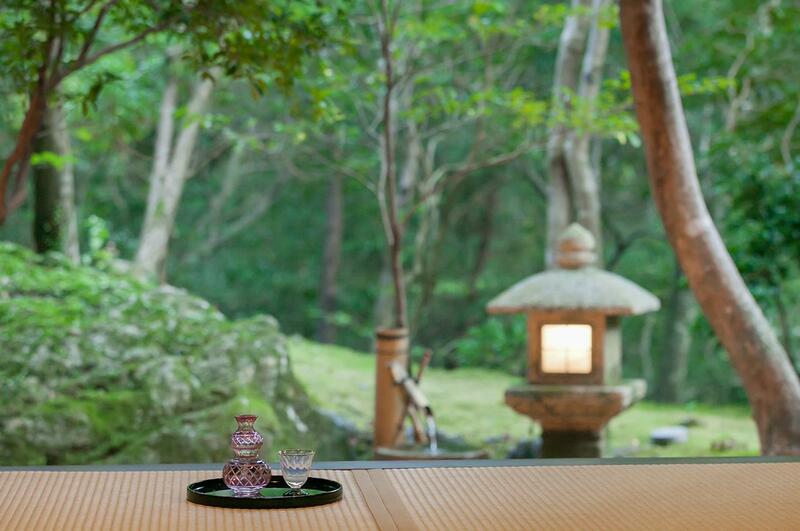 Traveling west from the town, one comes to this quiet spot, Hanzuiryo Ryotei Inn. 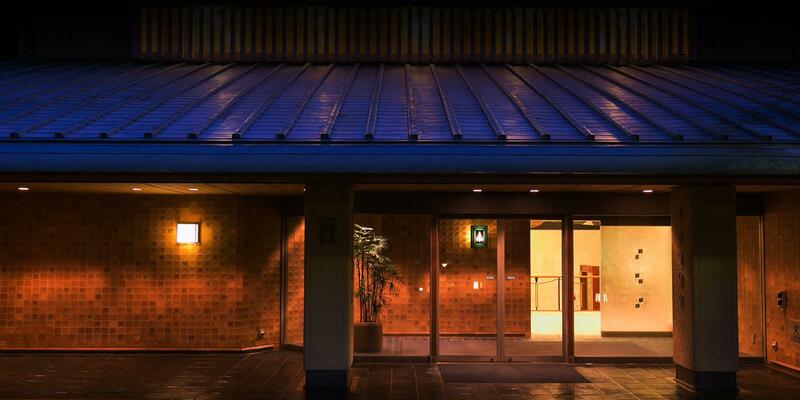 On nearly 20,000 square meters of land surrounded by Unzen National Park, 14 Japanese-style detached guest villas have been built in the sukiya* architectural style. 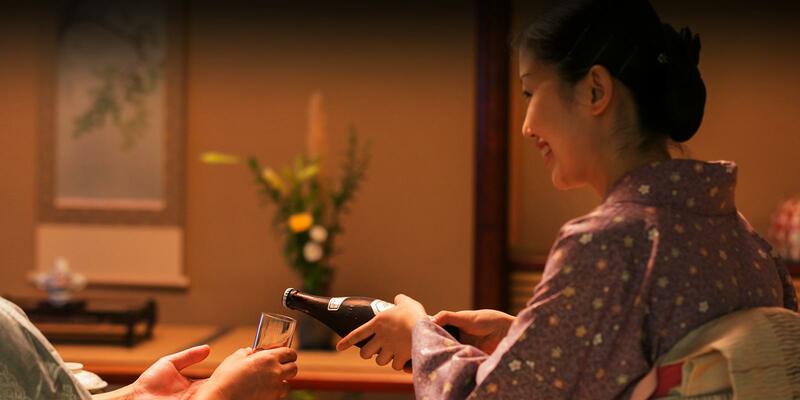 In addition to these 14 guest villas is the main building (Honkan) where the front desk is located, and the rest of the land is devoted to landscaped gardens. 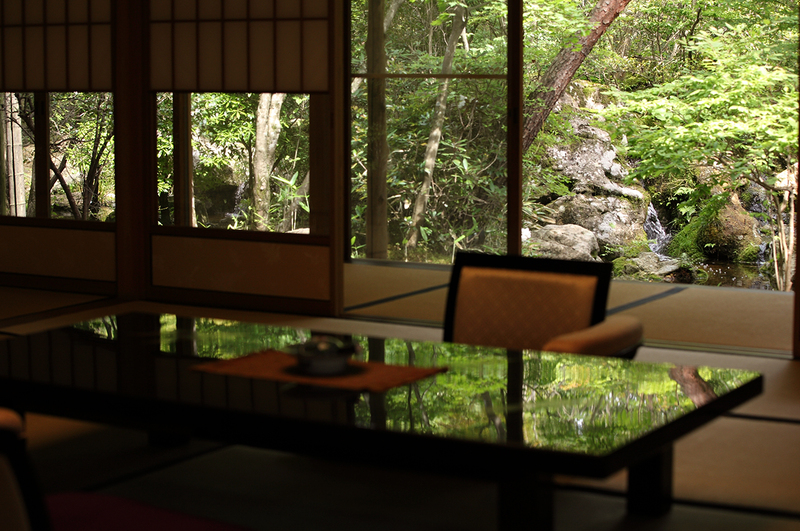 The resort is reminiscent of a traditional, landscaped Japanese imperial villa. The trees on the property include red pine, Unzen azalea, and mixed wood coppices that provide pleasant visible evidence of the changing seasons. Sukiya-zukuri is an architectural style that developed between the Azuchi-Momoyama Period (1568–1603) and the Edo Period (1603–1867), and is believed to have been perfected by Sen-no-Rikyu, the great 16th-century master of the Japanese tea ceremony. Adopting design concepts from tea house construction, the style is aesthetically refined using round logs for posts and roughly hewn logs with the bark left on their corners. 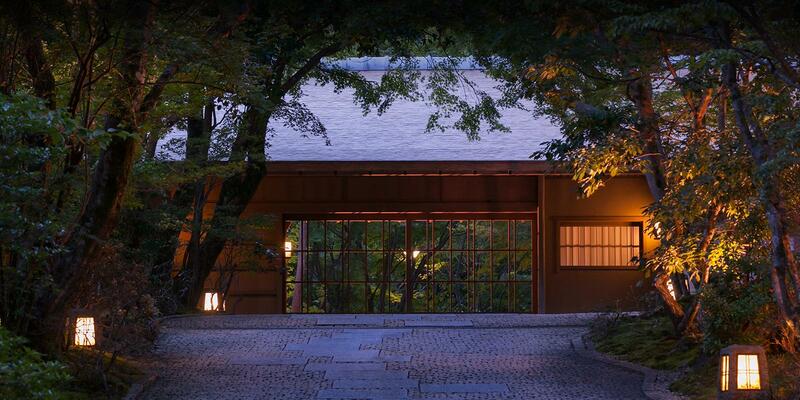 The Katsura and Shugakuin Detached Palaces in Kyoto are typical examples of this style. 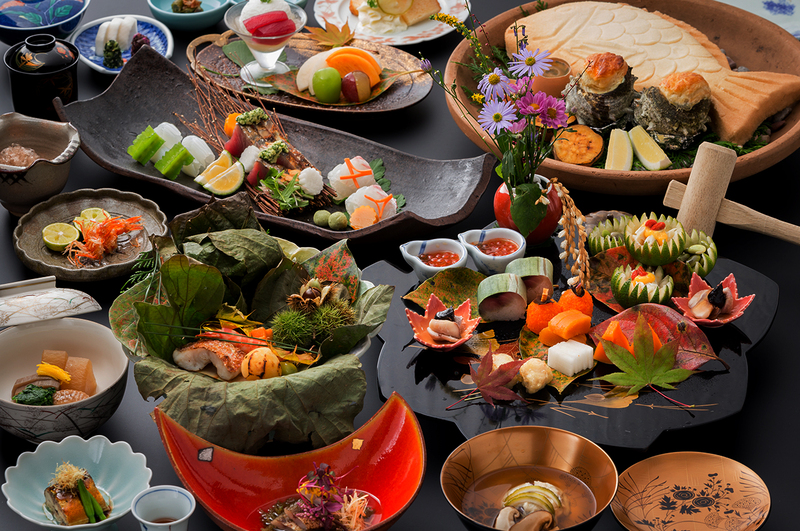 CUISINEKaiseki ryori is a form of Japanese cuisine.It is a cooking course using seasonal luxury ingredients. Internet access is available only in special villas and in the lounge.Reservations are accepted via telephone or Internet. When you make a reservation, please inform us of the following: (1) foods you like and dislike; (2) any allergies you have; (3) if you will be staying on a special occasion such as an anniversary; and (4) the time and mode of transportation by which you will be arriving, including train/flight number if relevant. 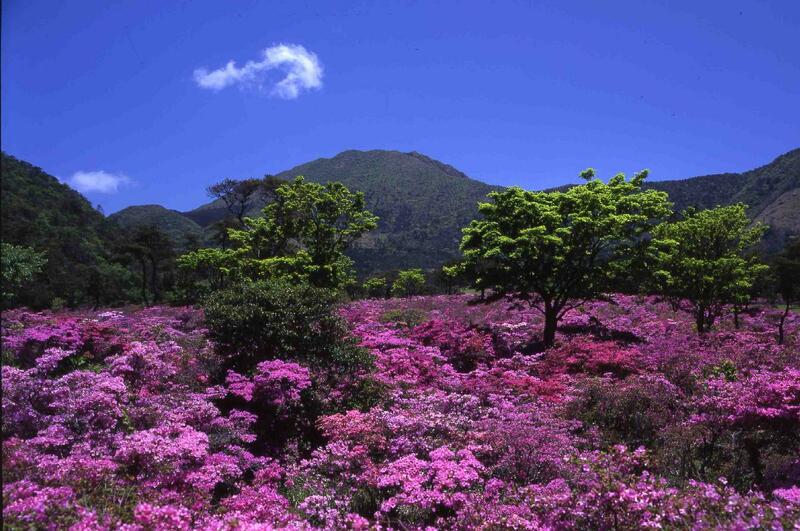 From late April to early June, the Kyushu azalea (Miyama-Kirishima), an alpine flower designated as a natural treasure, blooms in clusters in the wild. The average temperature in August is 21.7˚C (71.1˚F). 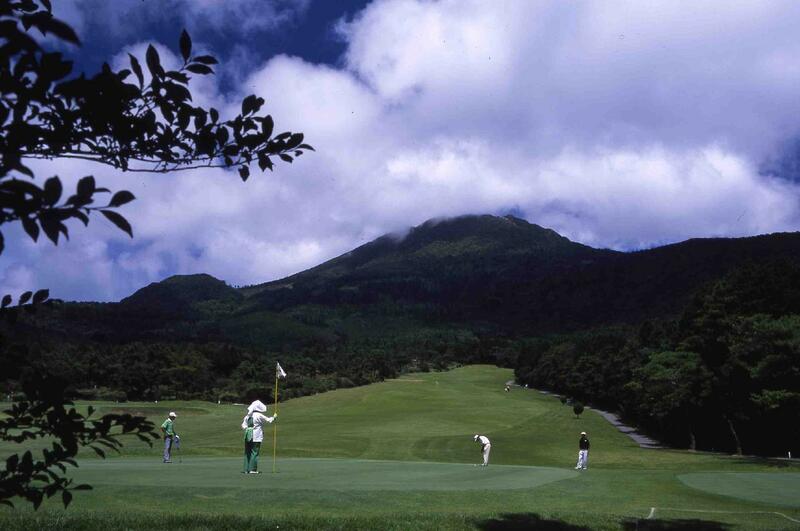 The Unzen Golf Links is the second oldest golf course in Japan. Summer is the busiest season. 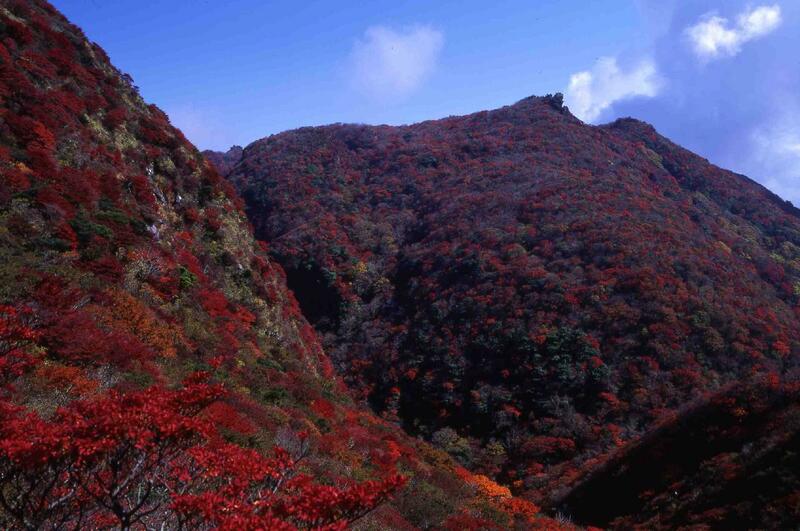 From late October to mid-November, the mountains are full of autumn color. 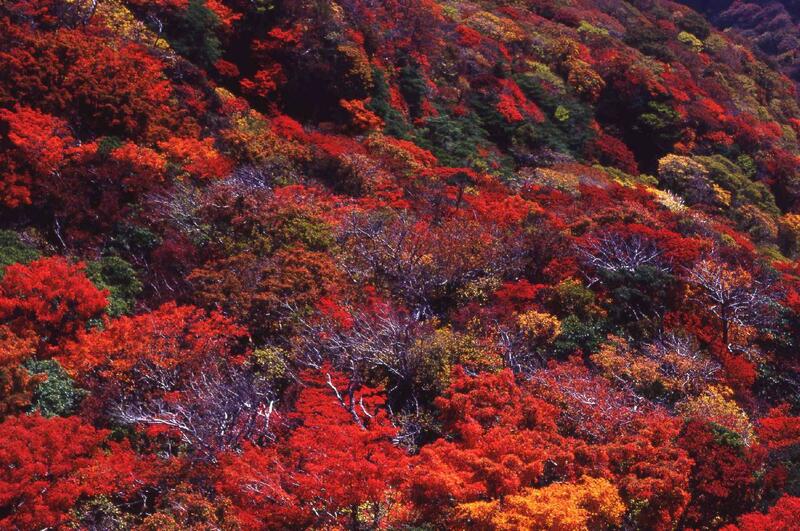 Approximately 130 species of plants change colors. The area where trees in the forest on Mt. 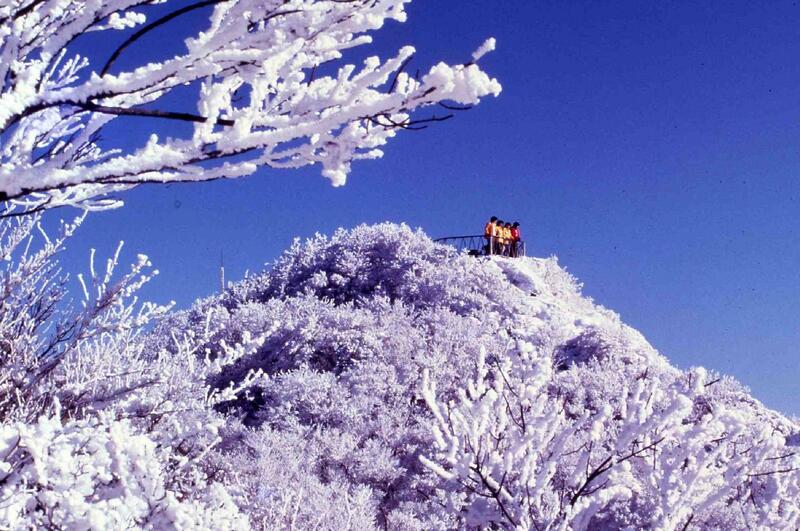 Fugen change colors is designated as a natural treasure. The season of hoarfrost. When a cold wind blows mist and fog through the forest, tree branches get covered with hoarfrost. 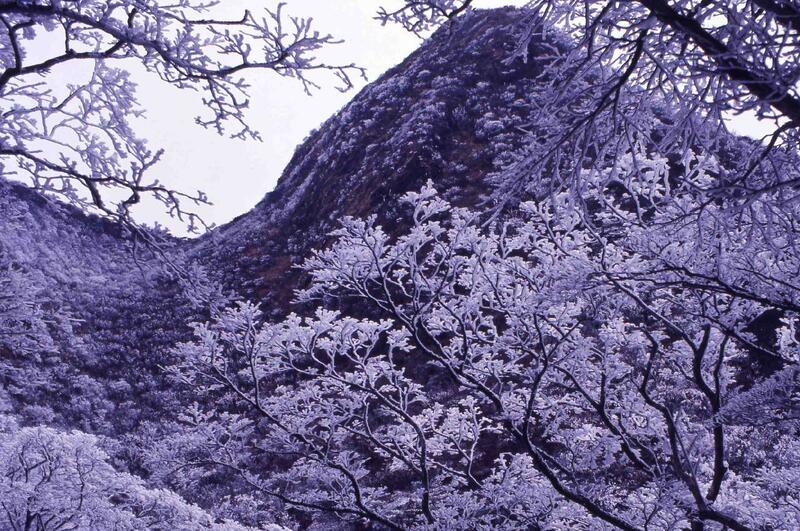 It is a magical landscape, especially when seen up close. Copyrightc 旅亭半水盧 All RIGHTS RESERVED.